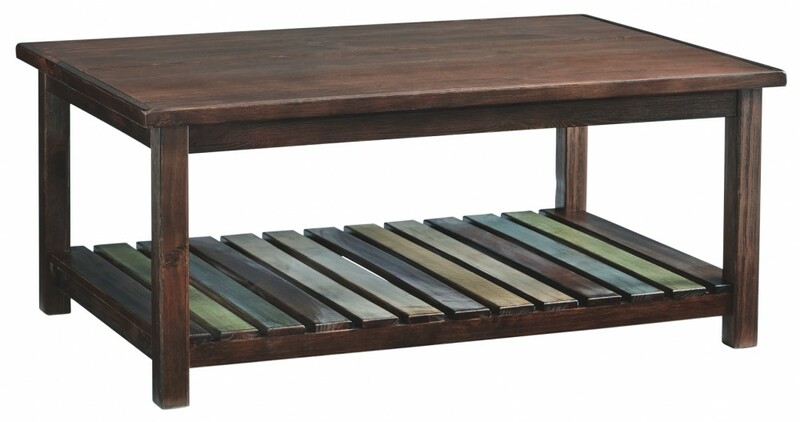 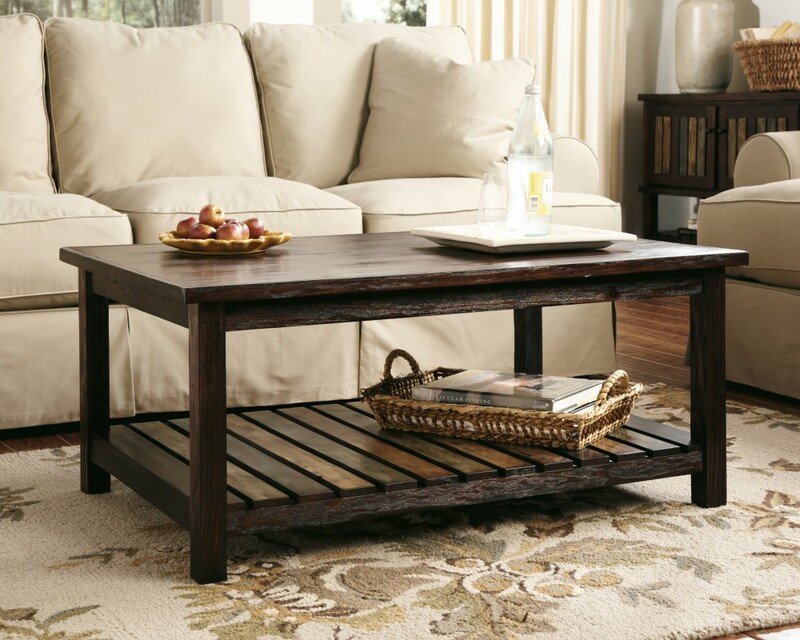 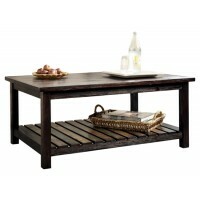 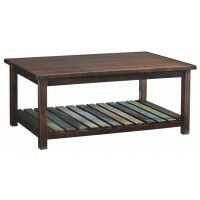 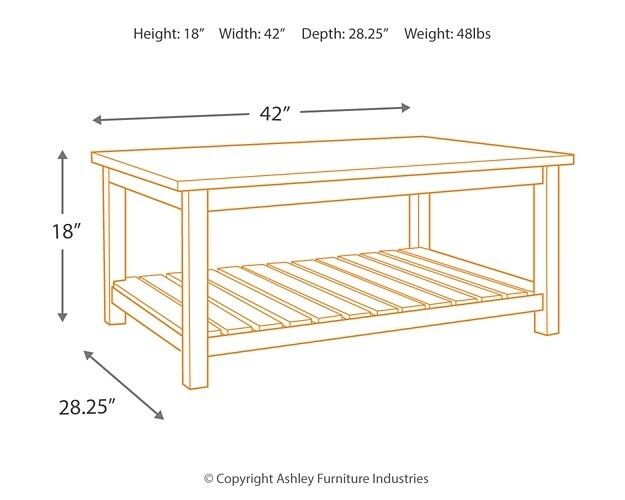 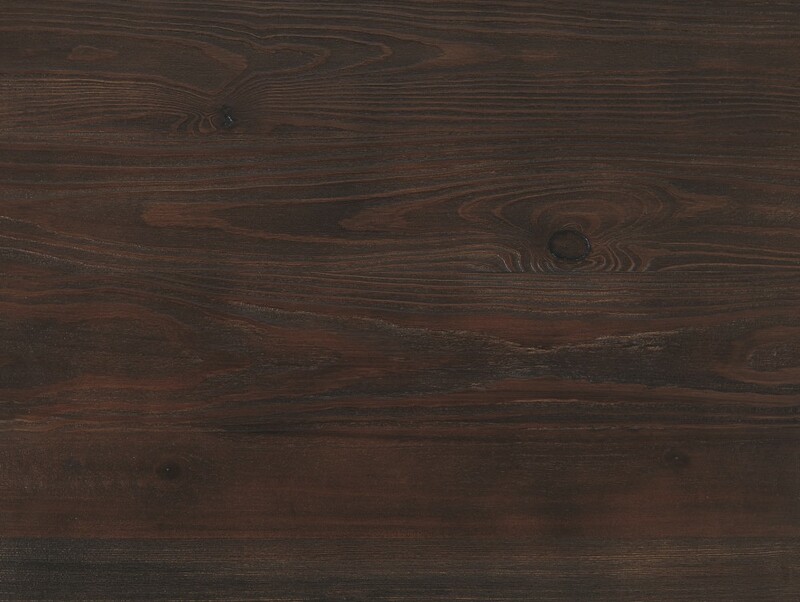 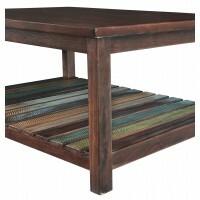 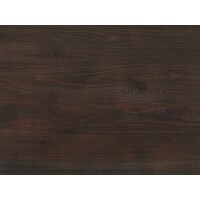 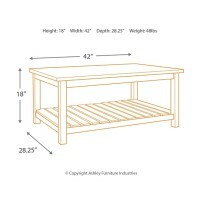 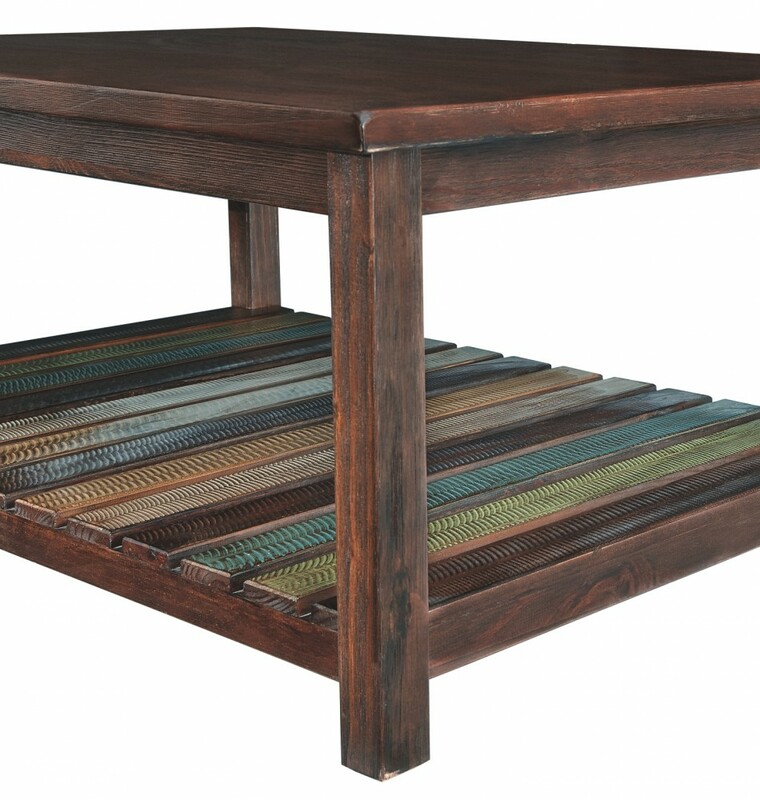 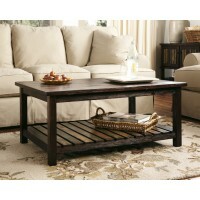 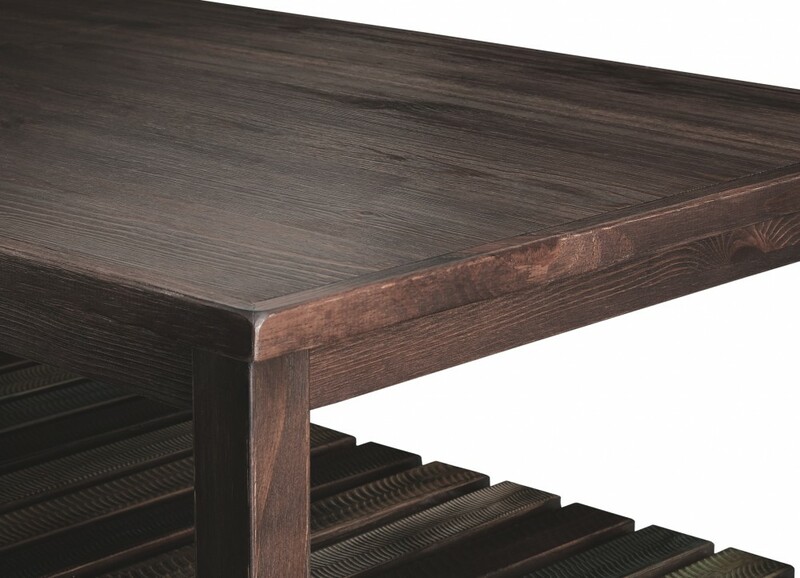 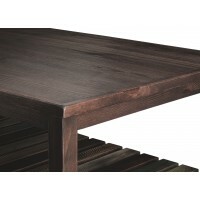 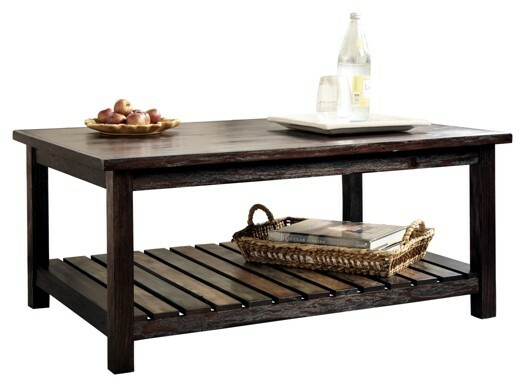 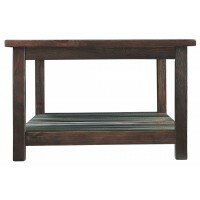 Bring a splash of subtle color and relaxed sensibility into your space with this rectangular coffee table. 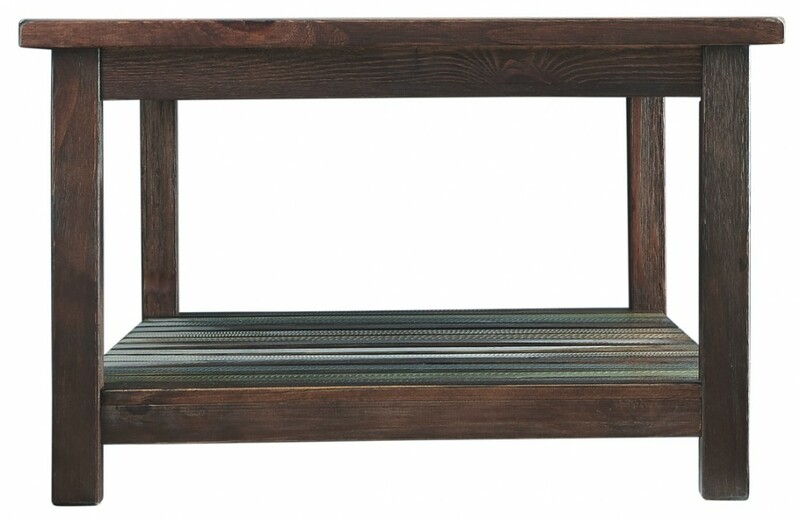 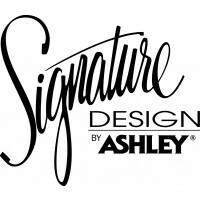 Whether you’re going for a Key West cool vibe or a rustically refined look, this eclectic piece will fit right into your design scheme. 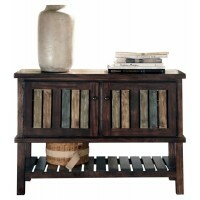 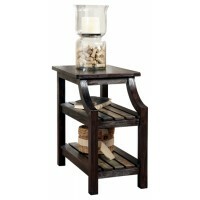 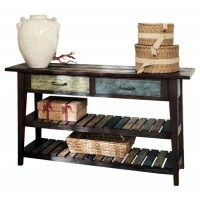 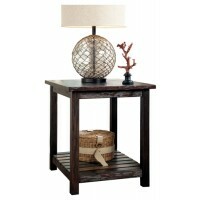 Slat-style bottom shelving sets the stage to showcase books, baskets or favorite accent pieces.